Reetsyburger's Refuge: Jerome Exists...but is he for Real? I wrote about this bizarre character named Jerome that we met last fall. Spoke with a few bartenders in the area who shared other too-good-to-be-true stories about Jerome. IE - His grandmother babysat for Hitler. 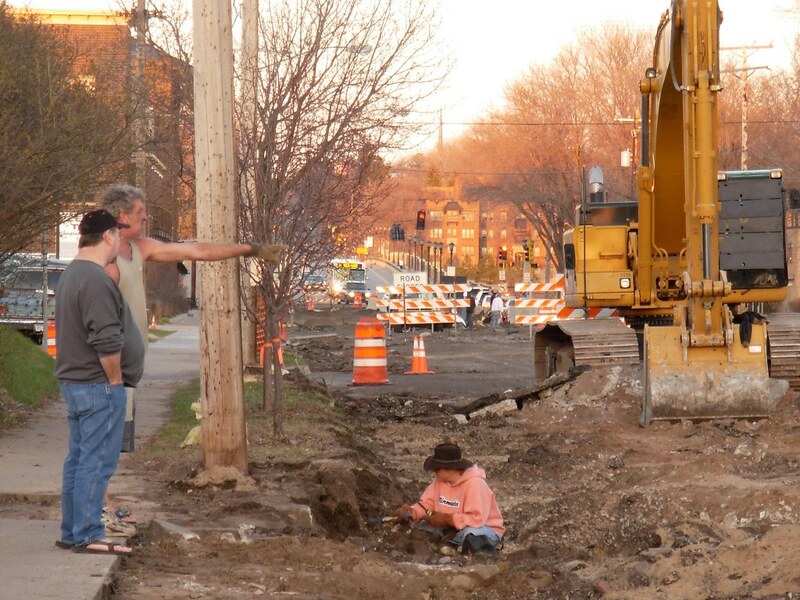 We spotted him tonight at the E. Lake Street construction area! He was talking with some folks who were surveying the area and collecting bit n' pieces of the old E Lake St.
Jerome! What are you pointing at??? Click here for other construction photos.